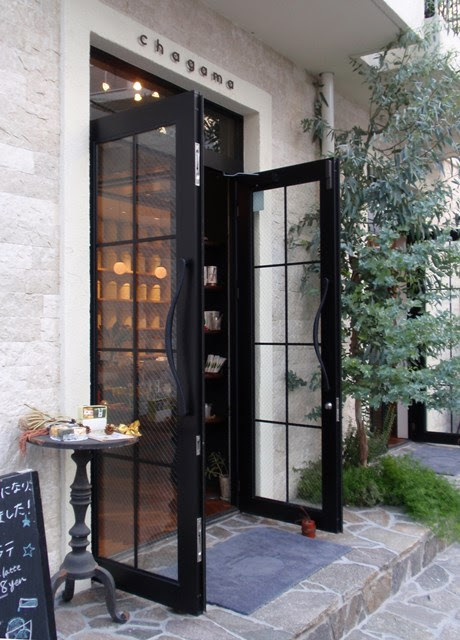 In November, I accepted a very kind invitation from Marumo Mori's CEO to visit chagama, the tea company's retail shop in Shizuoka city. Marumo Mori/マルモ森 has been producing tea in Shizuoka since 1958. 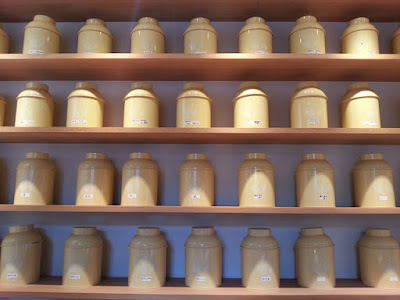 Chagama has been serving tea to the community since May 2014 and is located a short distance from Sunpu Park on the northeast side of the Passage Takajo retail center. 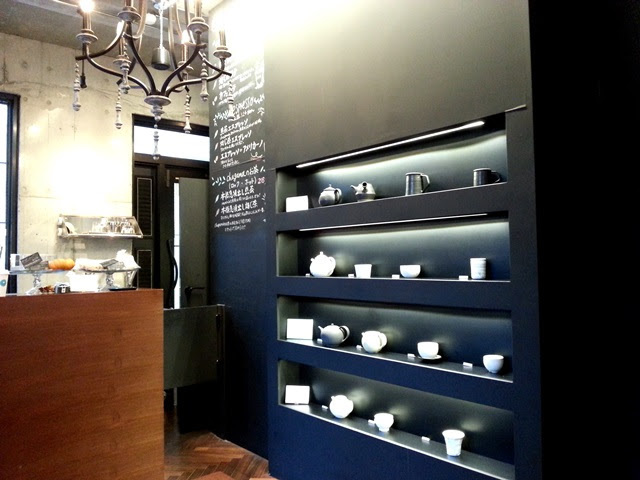 The tea shop interior is bright and welcoming with modern decor. At the counter near the entrance guests can order tea to enjoy during their visit or as take-away, including tea lattes, cold infusions, and seasonal favorites. While I did not have the opportunity to see it in action, the shop boasts a green tea espresso machine where even delicate, low-temperature teas like gyokuro can be prepared. 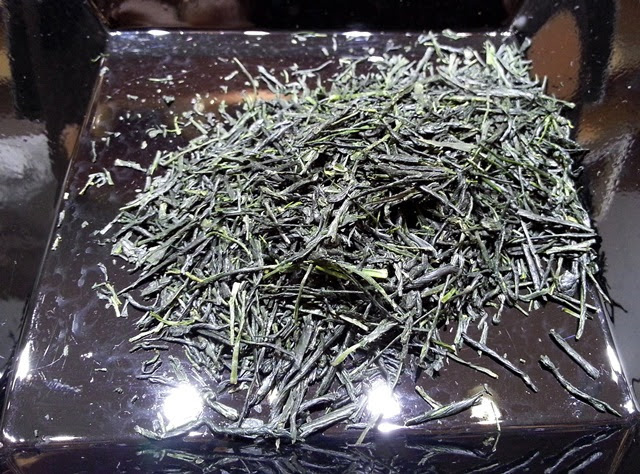 Chagama offers a selection of over 70 teas, most of which are produced in Shizuoka and delivered fresh from the factory each morning. 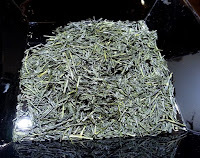 Teas are sold loose in clear packs and tins, as well as in pyramid (tetra) tea bags. 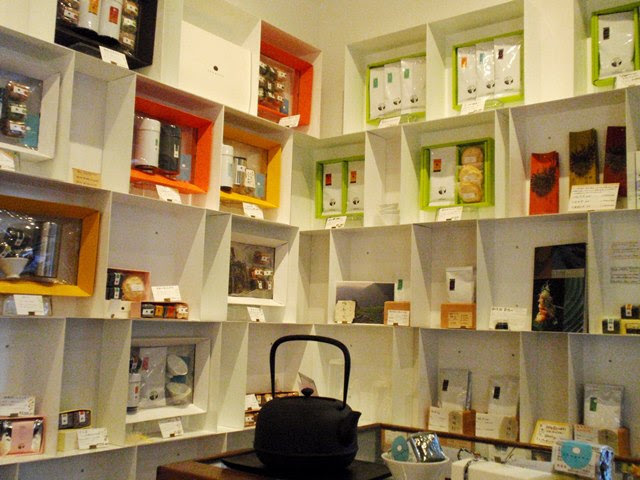 Teaware and foods that pair well with tea are also available for purchase. Shortly after arriving, I was guided to the large tea tasting bar where shelves of teas used in tasting events line the wall. As soon as I was seated, I received a sample of tasty azuki bean cookie. 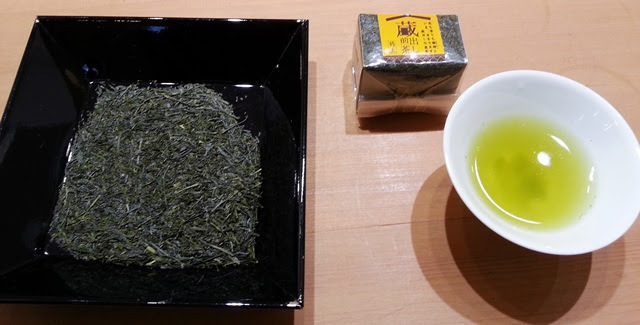 It's always a good idea to have a little food before diving into a tea tasting. 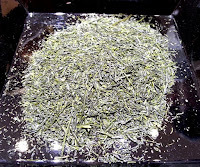 Chagama takes its name from the tea kettle used in Japanese tea ceremony. 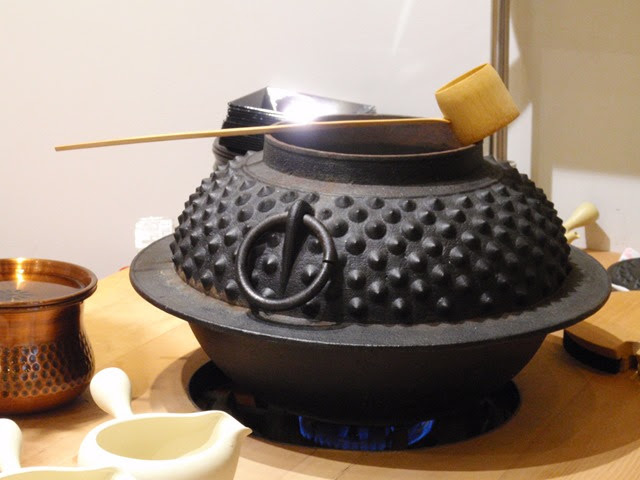 Water is heated in the iconic iron chagama. 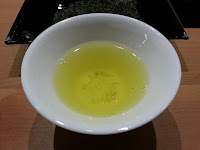 From here, it is scooped with a hishaku (ladle), poured into a yuzamashi (water cooler) and then into the kyusu (teapot) once the temperature is ideal. 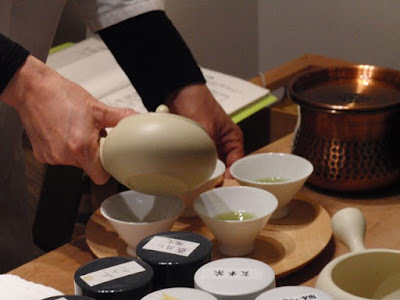 Shiori was my host and guide throughout the tea tasting session. She expertly prepared each sample, warming each teacup between servings, and holding the yuzamashi with her hands to test for the appropriate water temperature. Drop-ins are welcome at chagama and I was joined shortly into my tea tasting session by a regular. I really appreciated the sense of community and friendship among the regulars and the staff. 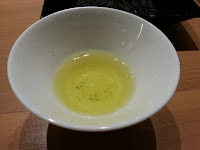 Kuradashi Sencha (orange label) from Shizuoka. 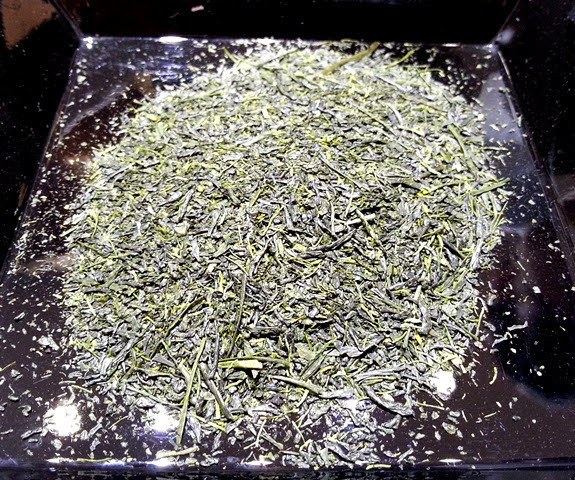 Kuradashi Sencha (yellow label) from Shizuoka. 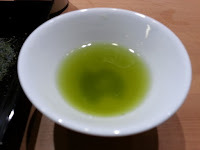 Yutaka Midori Sencha (fukamushi) from Kagoshima. Thanks to everyone at chagama and Marumo Mori for making this visit so memorable! I look forward to the next visit!